So my friend Bryan, who owns Cottage 34, also owns William Bennett Modern, an art gallery. So I fell for a painting by Chrissy Angliker, a 30 yr old painter from Zurich. So I had this wall in my pad in Miami Beach, that I knew was going to be an accent of some sort. And instead salvaged or reclaimed planking I did black high gloss, then set out to find a piece of art to anchor it. 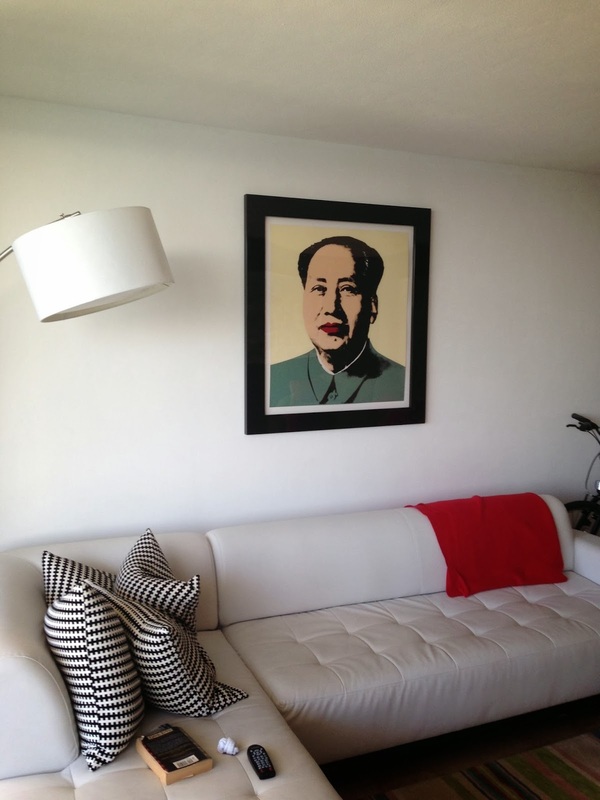 My Mao I bought from William Bennett Modern when I first bought the apartment. And an original Herman Miller Picnic painting - they commissioned 1 a year for 30+ years for their summer picnic. Some of them are fabulous. And the big run/walk loop for today (note the run before the walk, subtly (and misleadingly) implying that I did more running than walking). I hear it's still cold up North.